A Missouri lawmaker is attempting to ensure that football players are seen but not heard. 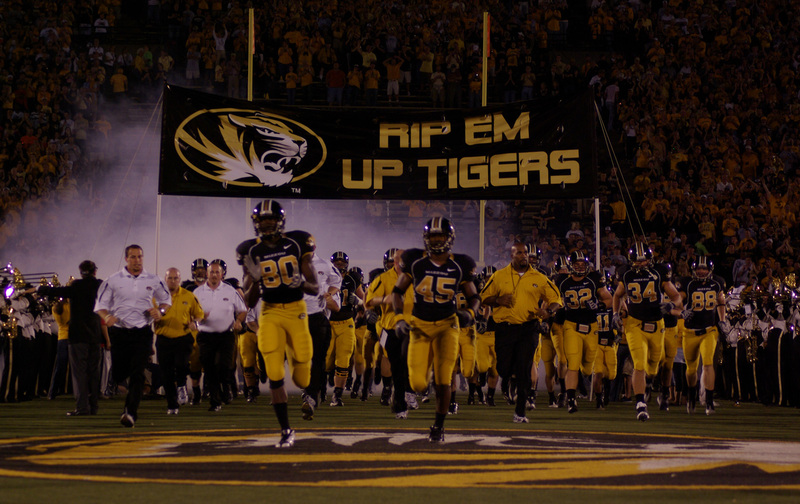 The Missouri Tigers football team, in an act of unparalleled audacity, refused to take the field last November unless the university system president, Tim Wolfe, resigned and, sure enough, within 36 hours he was gone. The team should be lauded for its bravery. Instead, the right-wing Missouri state legislature, lash in hand, wants it to pay a price for its disobedience. The players were striking against the suffocating, deeply rooted racist atmosphere on campus. They were standing with their fellow students, including one putting his life in peril on a hunger strike. They were risking their scholarships and their futures. They were showing what leadership and character in the realm of sports look like when unmoored from athletic cliché. They were also demonstrating that college athletes have actual power. Not merely moral power, but the social and economic power to stall a system dependent on their labor and compliance. This inspired so many disgusted with the status quo in college sports. But for some in the Jefferson City, Missouri, Capitol building, it was not an inspiration. It was a crime. Missouri’s elected officials want legislation to ensure that any scholarship athlete who exercises their collective voice, is rewarded with a flayed future. In the newly proposed House Bill 1743, State Representative Rick Brattin, is bringing the phrase “shut up and play” to the level of a law that calls for “any scholarship athlete who refuses to play for a reason unrelated to health, shall have his or her scholarship revoked.” In other words, future actions like the ones of the Mizzou players will be criminalized. This legislation is a craven, blaringly anti-democratic gesture, openly aimed at the football team. One of its sponsors, Representative Kurt Bahr, commented to the Columbia Missourian that the legislation was “obviously in reaction to the athletes who were saying they weren’t going to play to what they considered to be social issues on campus.” Make no mistake about it. Given that it is targeting and punishing an entity that is 69 percent black, it is also racist: aimed at silencing black voices and diminishing black lives on campus. But before unpacking why this is so utterly awful, it is worth knowing something about the twisted sadist proposing it. In recent months, the 35-year-old Brattin has introduced a legislation that seems conjured from a coked-up weekend in Tijuana with Rush Limbaugh. He proposed making abortions unattainable without the written consent of the father (vividly citing in great detail his own vasectomy as inspiration for the bill); a law preventing food-stamp recipients from buying “cookies, chips, energy drinks, soft drinks, seafood, or steak,” and—showing that he is of the moment—to keep Syrian refugees from settling in the state. But the coup de grâce was when this sick puppy attempted to introduce legislation that would force Planned Parenthood to erect a memorial to aborted fetuses. Seriously. He said, “I think maybe requiring that Planned Parenthood set up some type of memorial, like a Vietnam Wall type. I know that sounds crazy, but by state law [fetuses are] given human status, so should there be a human memorial attached to that human life?” (Quick response to Brattin: Yes, it sounds crazy). The football players at Missouri deserve our support and solidarity, and Brattin has revealed himself to be the sort of person who wants to treat human beings like chattel, seen and not heard. It’s a shameful law. It’s a racist law. And if it is passed, players should do what they did last November: fold their arms and refuse to take the field, as the school hemorrhages millions of dollars. Let them try and find a new team on a week’s notice next fall. Or maybe Brattin and his cronies can put on the pads and suit up against Alabama. Now, that I would pay to see.